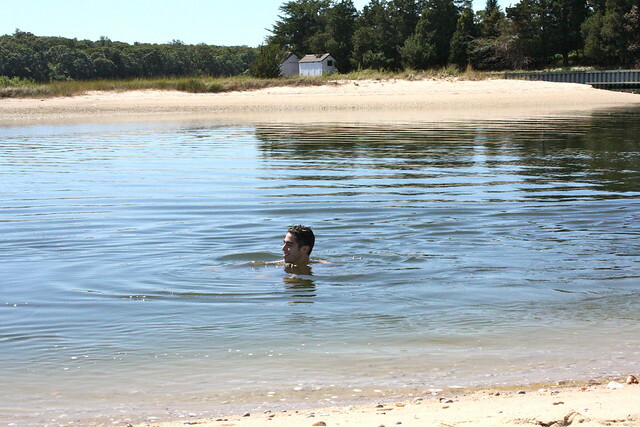 "At the summer house I'm curving like the ocean towards you"
On the first full day of vacation I woke up to steaming summer heat and sunshine, and we had originally anticipated rain for most of the trip. 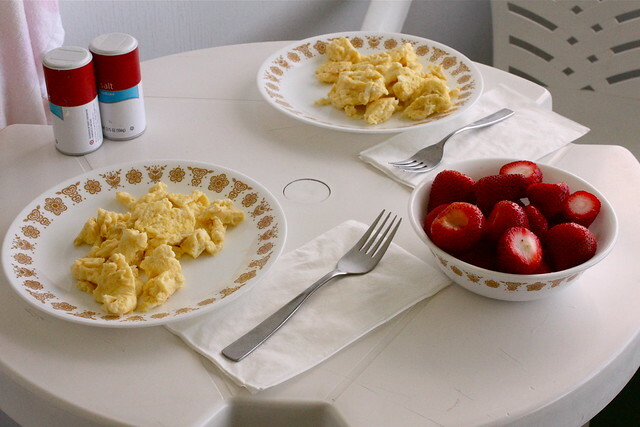 It was a celebratory good-weather breakfast of scrambled eggs and strawberries made in our little kitchen and devoured out on the porch. 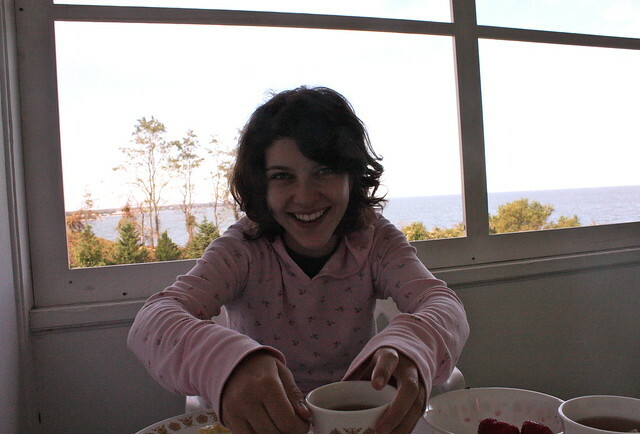 If you ever wondered what I look like without makeup, first thing in the morning, here it is you creeper peeper. 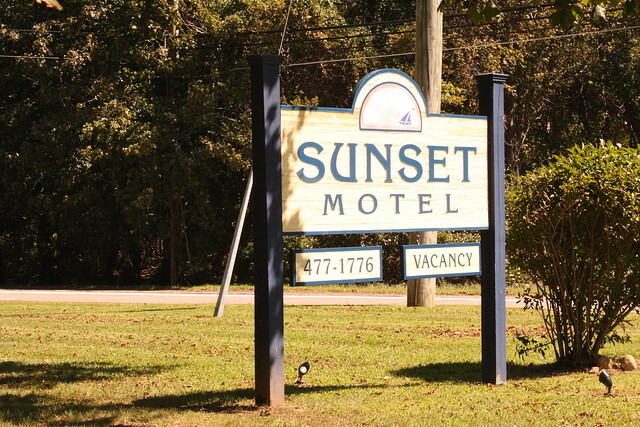 If you are ever on the North Fork and in need of an affordable place to stay I cannot recommend the Sunset Motel more highly. We rented a studio with a mini-kitchen and our own private screened in porch. 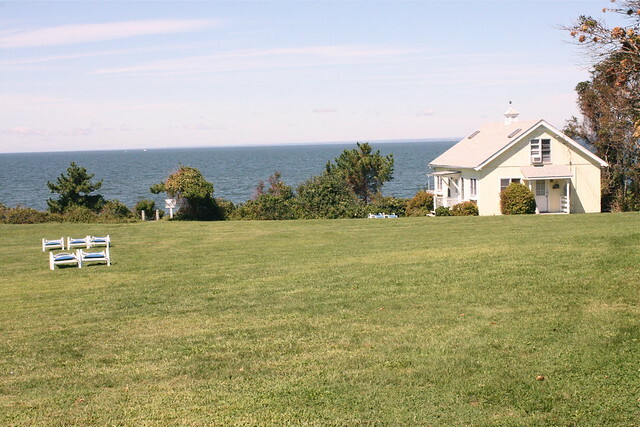 While bed-and-breakfast's are lovely, they are quite a bit out of our price range. This was everything we could need, plus a little extra because of the amazing and aptly named views. Looking down the hill toward the sound there is a precious, private yellow cottage that is available for large groups to stay in. I was completely enchanted with it, so maybe next time we'll come with friends. 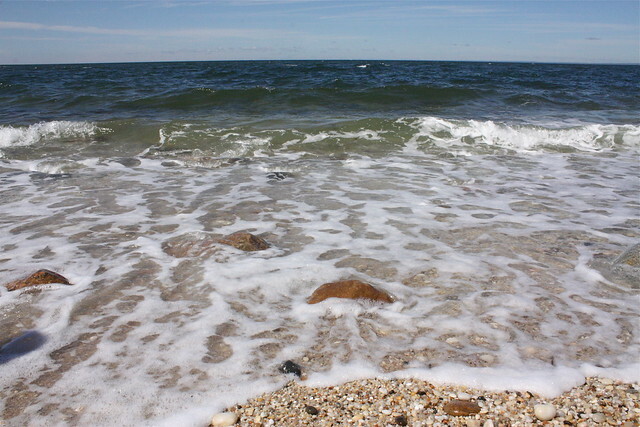 Here's the quintessential North Shore beach complete with crystal clear water and smooth pebbles. It reminded me of Kellerman's from Dirty Dancing when I looked up the hill. I wandered around taking pictures of the motel and some outfit shots and we hopped on our bikes and took a ride into town for some thrifting and snapping pictures of the gorgeous houses (but more on that later!). After breaking a sweat we drove over to Southold to the beach that Rich grew up visiting and spent the rest of the day swimming and exploring the shoreline. 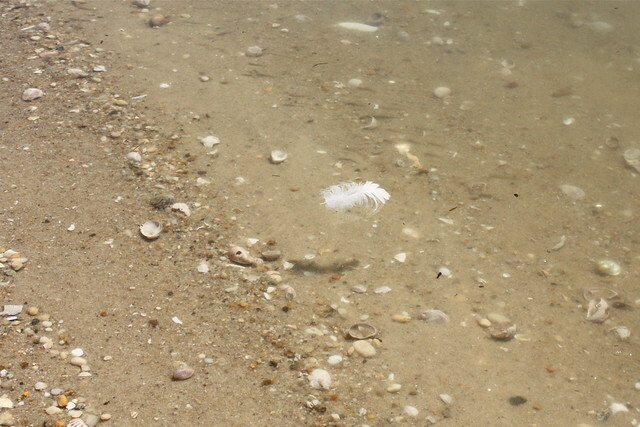 The water was so perfectly clear, this feather could be floating in air instead of the water! I found a blue-claw crab! Too bad a bird probably got to it first. 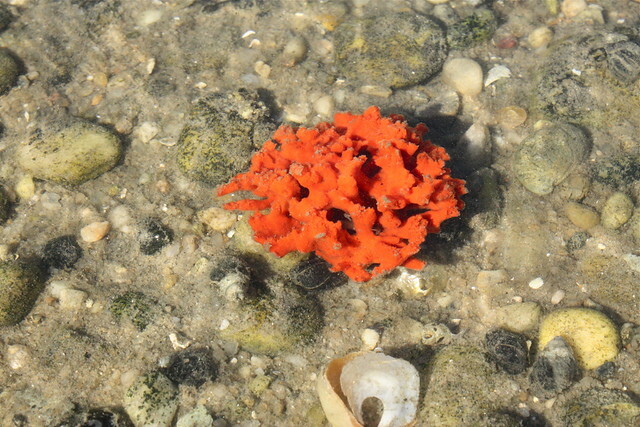 There was some bright red coral, but we left it alone because it was still alive in the shallow water. 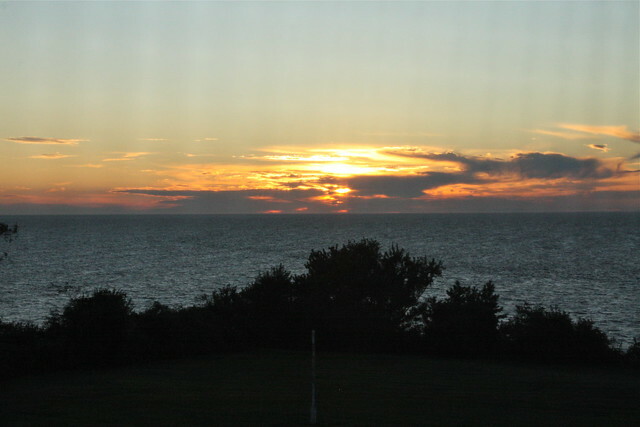 The sunburn was starting to sting when we headed back, and in perfect time to catch the sunset. We had wine and then went to a nice steak dinner in a quiet beachside neighborhood. 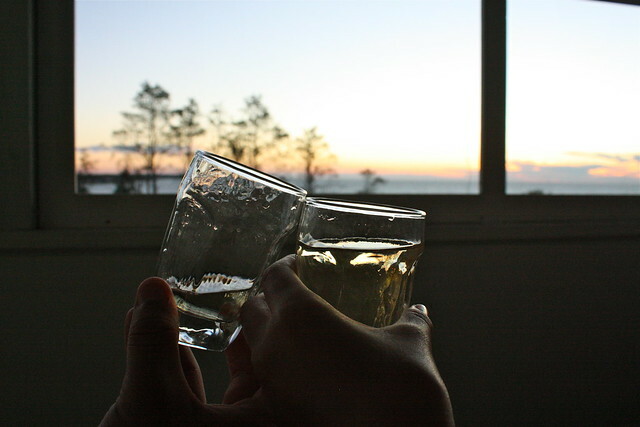 I left my camera alone because it was just nicer to relax and enjoy the evening. It looks like you had such a dreamy vacation! Even though I'm loving this new fall weather, this post makes a teensy part of me want to be back at the beach! 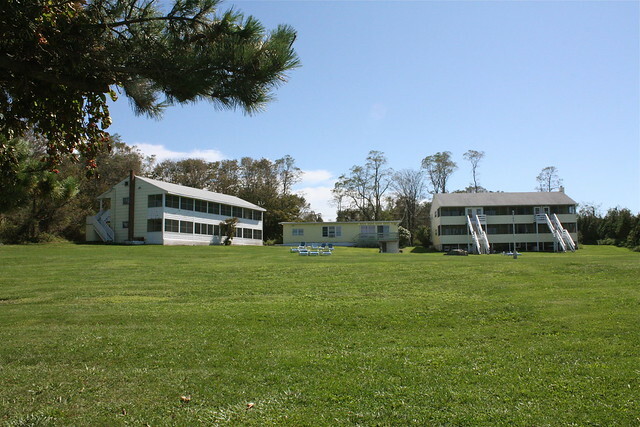 looks so beautiful .. i get to go to hilton head in a week and i CAN NOT wait. it totally does remind me of dirty dancing..haha. what a great place. Great, great photos, this looks like such a lovely and beautiful place to me! I'm curious already for more photos! This looks like such a great place to go to get away! I am so entertained by the simple fact that I have the same dinner set of plates/bowls. Haha! :) Wonderful blog you have here. Come by sometime. Looks like such a lovely time! I like the idea of having a kitchen where you stay too, sometimes I'd rather be able to cook my own meals than have to worry about finding somewhere to eat out all the time. And wow talk about clear water indeed, that feather photo is so cool. you are brave to show what you look like without make-up. I have a lot of zit scars that I cover up (I really want to get them filled) but you can't tell in my photos usually. You look lovely though without any on. natural beauty!